Microstructure - Discover how alloy grain structure is critical to achieving the needed extrusion performance for demanding applications. This new section reviews the specifics to provide readers with a basis for discussing critical part performance with their extruder. 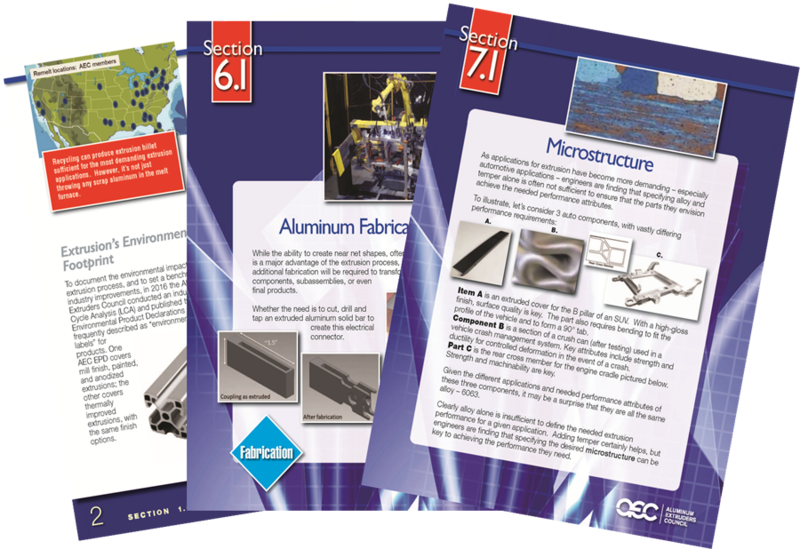 Create more effective products by using aluminum extrusions with AEC's updated Aluminum Extrusion Manual, 4.2 Edition! After reviewing this manual, you'll have an excellent understanding of the extrusion process...and how to harness it for your product designs! Find technical information on alloys, finishes, tolerances, etc. Access valuable reference documents, and much more. When you're ready to move forward with a new extruded component, contact an AEC member extruder for assistance with specific details.